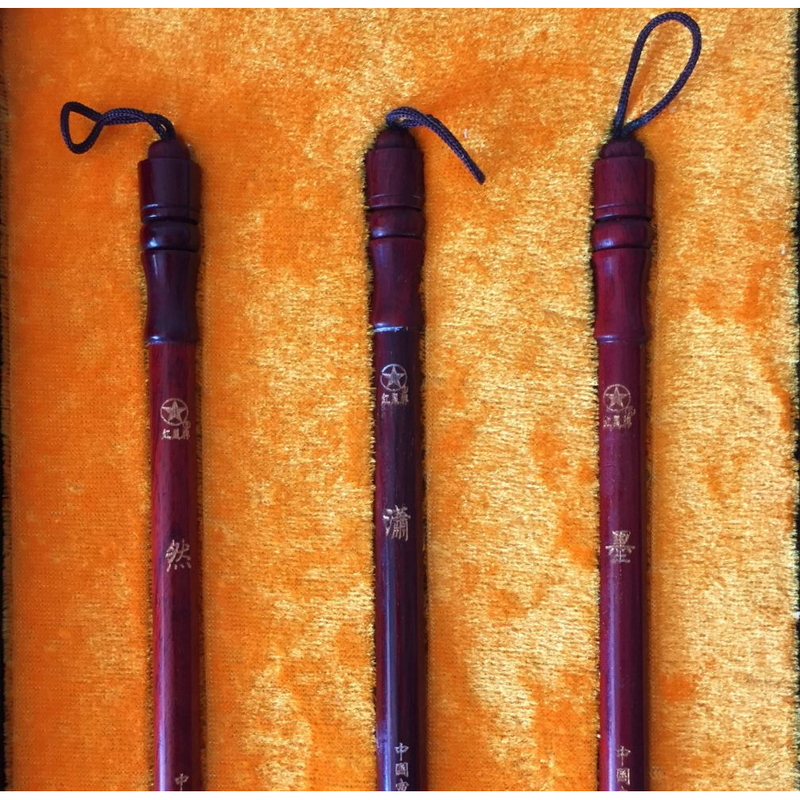 Set of 3 Red Star Xuan brushes named “Mo, Xiao, Ran.” (墨、潇、然) meaning ink, natural, correct. 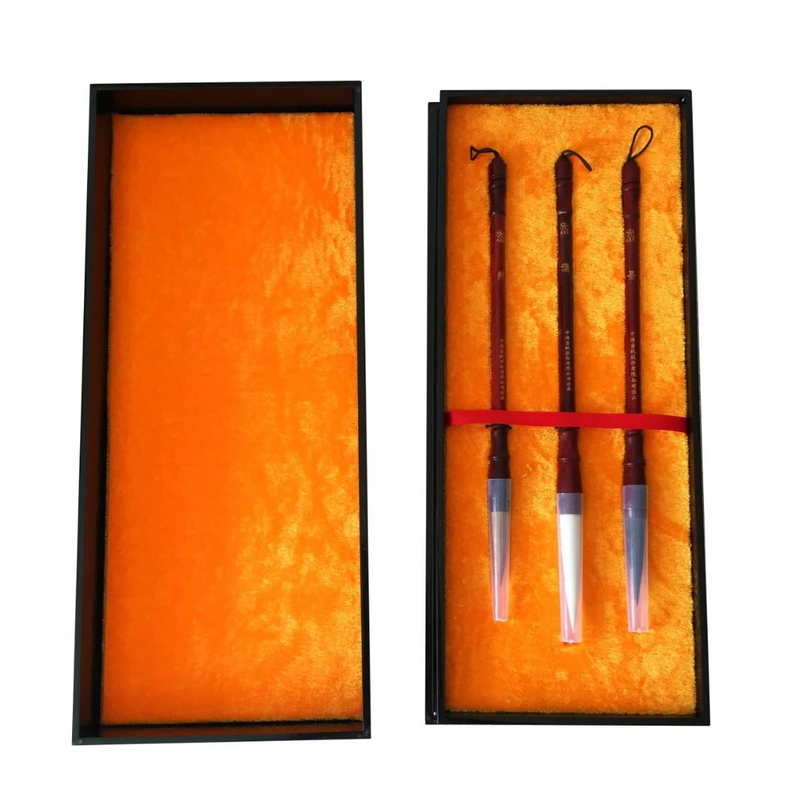 The shafts are made of precious hardwood Guibourtia with smooth surface and natural shine. Mo: Marten hair, 12 * 55 mm, suitable for freehand flowers, birds, figures. Xiao: Wool, 13 * 70 mm, suitable for cursive script and freehand impressionistic painting. 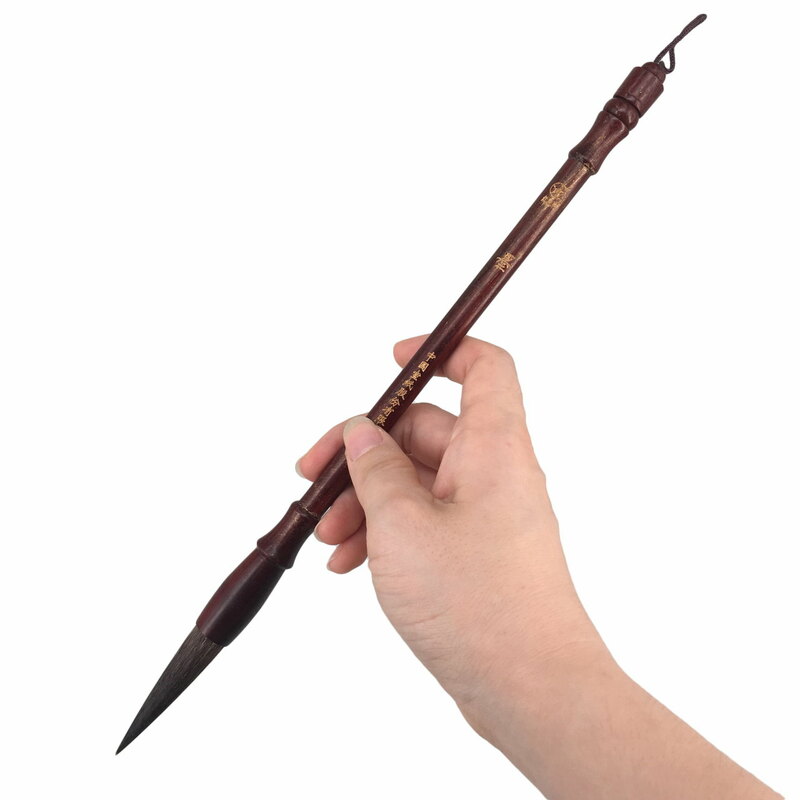 Ran: Weasel hair, 11 * 45 mm, for the Ming and Qing style calligraphy, and freehand impressionistic flowers and plants. 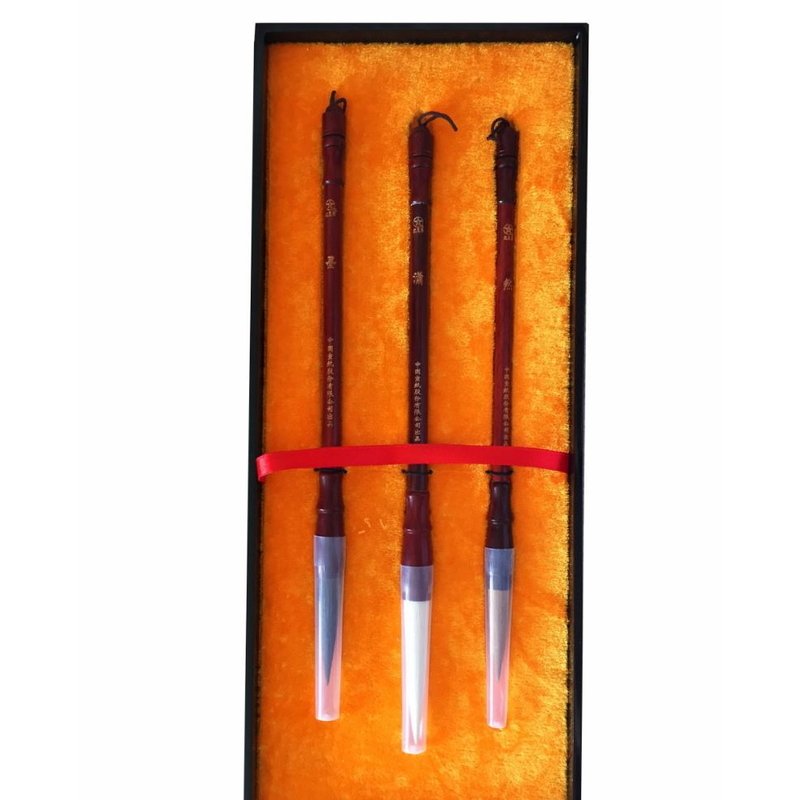 Overall, this is a comprehensive set for professionals for both calligraphy and painting flowers, plants, figures, covering the needs of Chinese brush painting and calligraphy. Order including this product will qualify for free shipping. 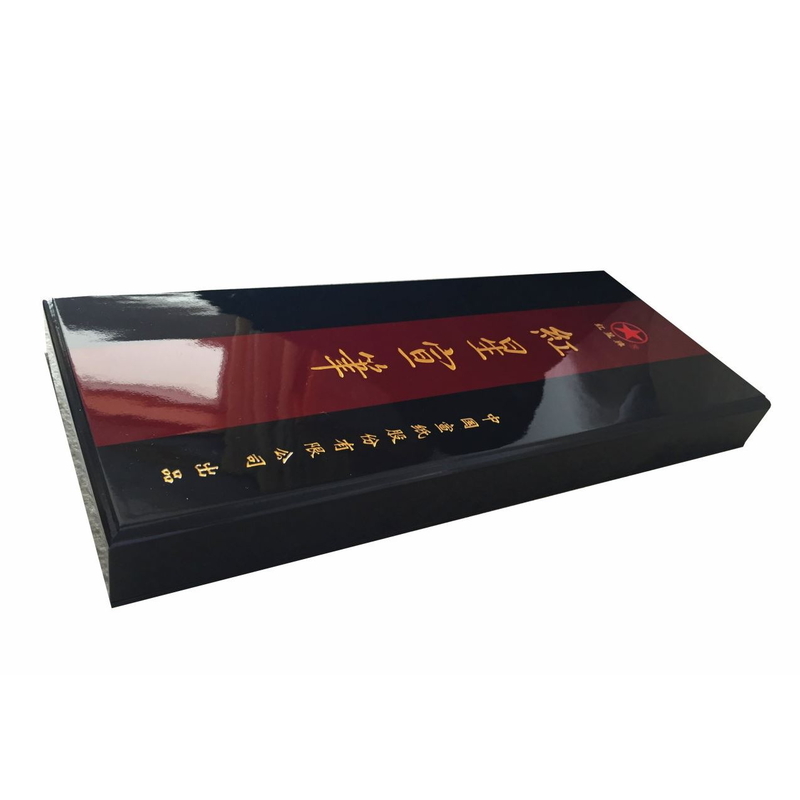 Red Star is China Xuan Paper Company which promotes the best of the traditional four treasures of the study. 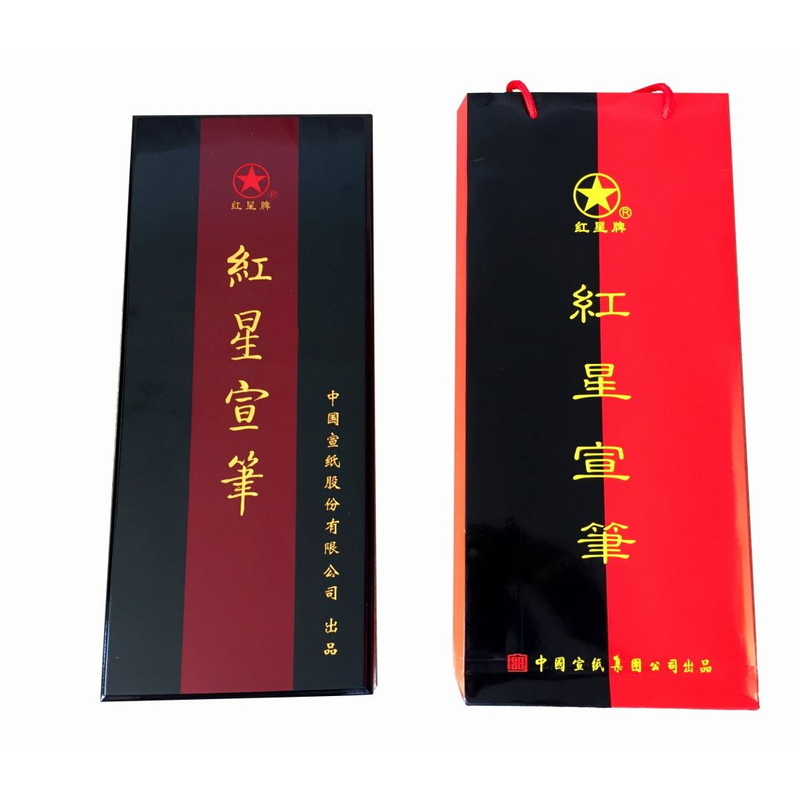 The company was founded in 1951, is currently China’s largest Xuan paper production enterprises, and also the industry leader exhibiting at 2010 Shanghai World Expo and other events. This set is designed for professionals. 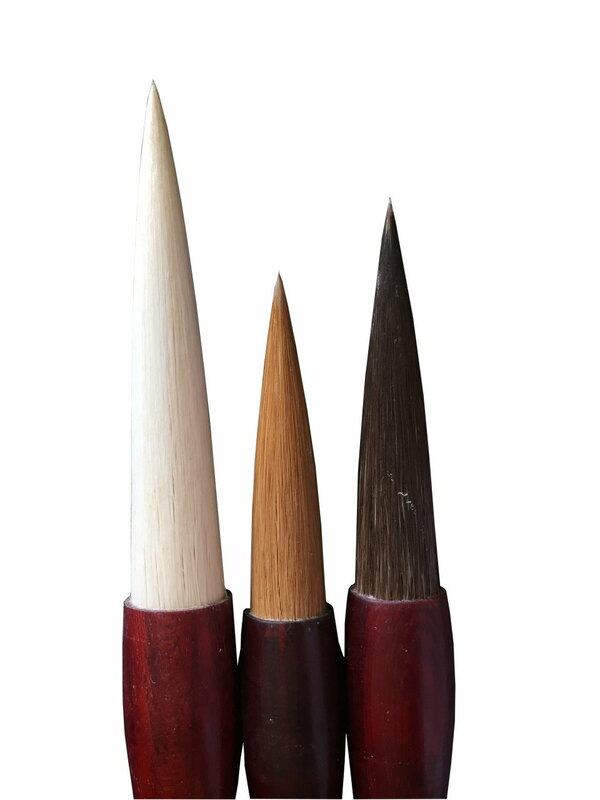 These brushes were produced by master Xu’s workshop. 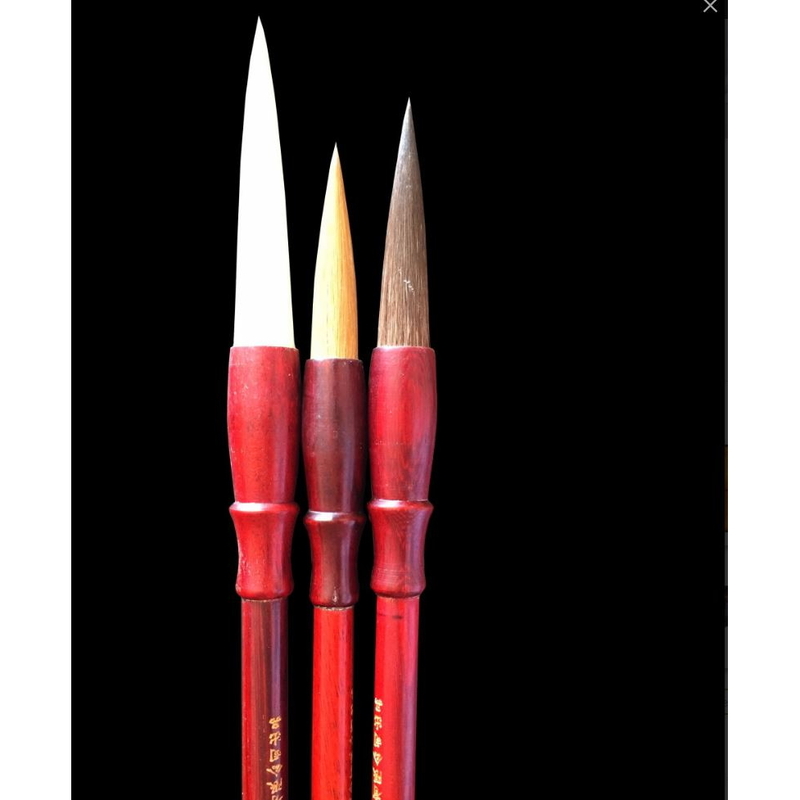 Master Xu started making brushes in the 1970s and has a busy traditional workshop in Anhui. We visited the workshop and you can see more about Xuan brushes and the workshop here.